BYBI Beauty, which stands for By Beauty Insiders is a 100% natural skincare from the founders of Clean Beauty Co and not only are they Cruelty-free and vegan but they are also microbead-free too. 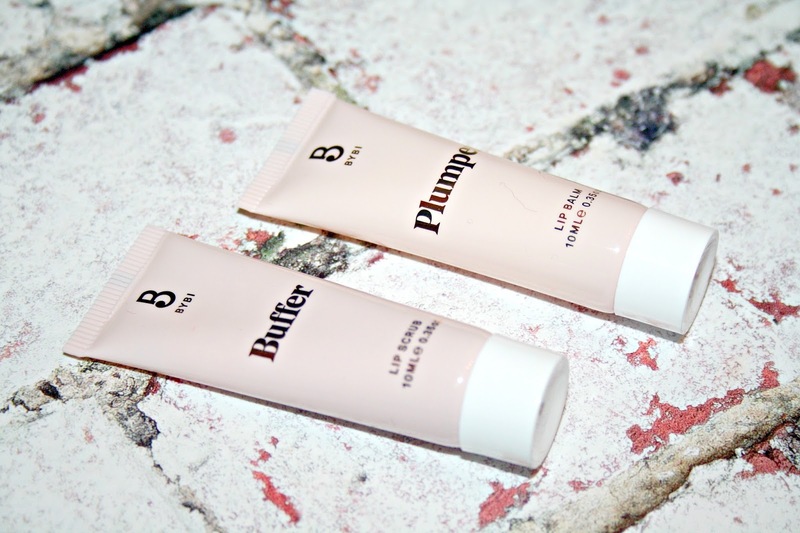 Having tried a few products from the range already (review here), I have also been lucky enough to try two lip products, which happen to be pretty fantastic too. Let your lips do the talking with the BYBI Lip Kit - the adorable duo Buffer lip scrub and Plumper lip balm, packaged up in an exclusive BYBI pucker pouch. If that don't say I love you, then we don't know what does. I am one of those people who exfoliates their lips a few times a week to ensure they are as smooth as can be and I am also a lip balm addict too. 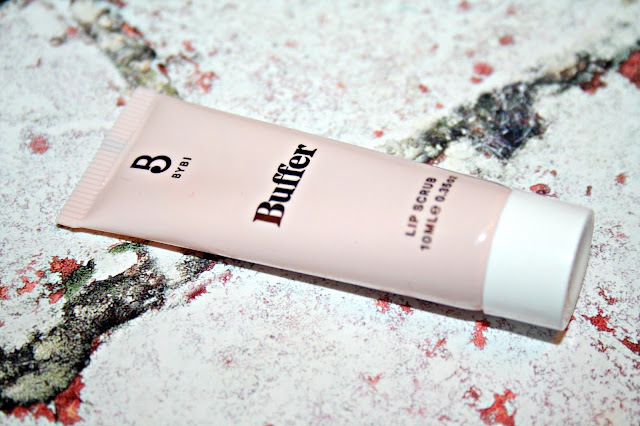 Buffer is described as being ideal for lips that suffer from severe dehydration and with the constant change in weather, I find my lips need as much protection from the elements as the rest of my face. This scrub uses sugar and strawberry extract which work to slough away dead, dry skin and as it does so, you can really feel the small particles work their magic. 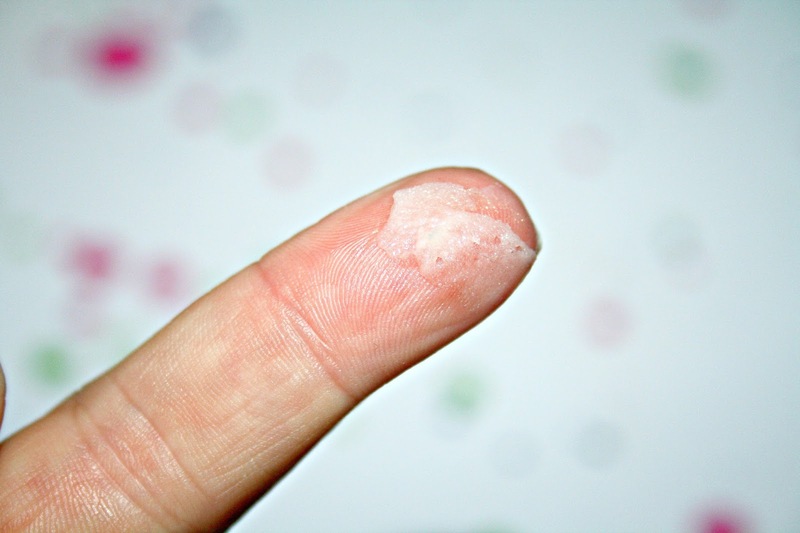 It isn't overly abrasive but with a little bit of pressure, it can help to loosen and then remove those stubborn bits of dry skin. Adding to those ingredients is Sweet Almond Oil which helps to restore moisture as well as priming the lips ready for the application of balms, glosses and lipsticks. Finally, there is the addition of Cinnamon works to perk up the lips. Having buffed the lips it is time to add some balm and I love that these two products work so well together. 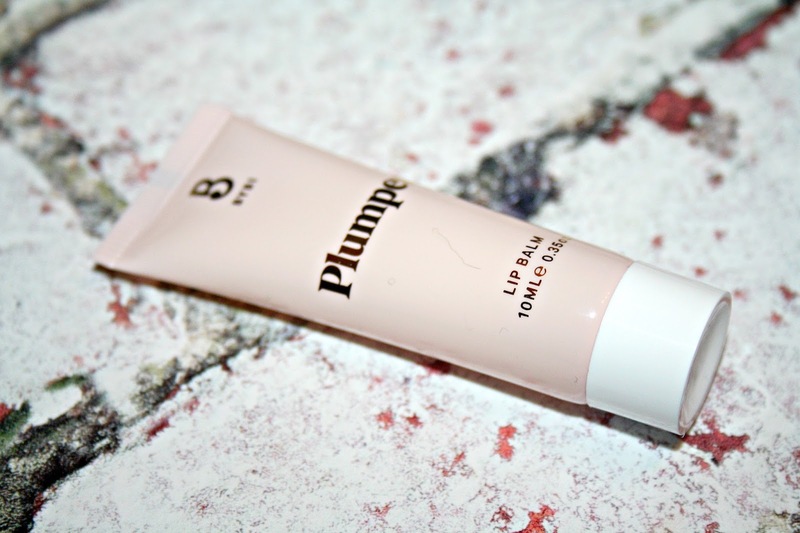 Plumper is described as being a balm which is not only a hydrating lip balm but one which both restores and protects, whilst adding a touch of plump and shine. Using Peppermint and Blood Orange essential oils which come together and work to stimulate circulation in the lips. The first thing you notice when squeezing some of this out of the tube is the peppermint scent, as it is applied, the lips feel instantly cool. There is also the addition of Shea Butter and Grape Seed Oil which together seal in moisture and add a smooth, subtle gloss. Together this duo are the perfect combination to look after and condition your lips and because the tubes are 10ml, they are perfect to having in your bag, taking on holiday and having on the bedside table. You can find them and the rest of the ByBi range right here. Oh this sounds lovely! The only lip scrubs I tend to use are the Lush ones but this sounds fab! I've never heard of a plumping lip balm. This one sounds really interesting. oh wow they sound incredible! I love the look of the lip scrub! So much! This sounds like the perfect little kit. I love the packaging too. Oh they sound like a good combo! I love anything peppermint scented. I love a good lip scrub, makes such a difference!